On January 2, 2013, the Department of Homeland Security announced a policy change that could prove beneficial to many immigrants. Many undocumented immigrants who desire to adjust their status based on a family member’s petition have to return to their home country. When they leave the United States certain bars to readmission to the United States are triggered. That means the undocumented immigrant needs a waiver to return to the United States. Under the old policy, it could take months or even years for the waiver to be decided. 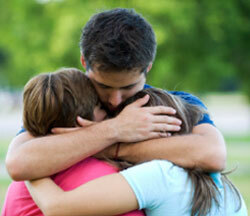 Sometimes the immigrant is separated from his or her family for up to 10 years. The DHS’s new policy change will permit the immigrant to apply for the waiver inside the United States prior to leaving for his or her home country to get an immigrant visa. The provisional waiver becomes effective once the immigrant leaves the United States and presents the waiver during his or her consulate interview. The DHS indicated that it expects the new policy to simplify the process and decrease the amount of time that the immigrant and his or her family are separated. The DHS will begin accepting applications from eligible immigrants married to United States citizens or are the parents of United States citizens under the new waiver policy on March 4, 2013. Contact Dallas, Texas, immigration attorney Coleman Jackson online or call 214-599-0431 to see whether you or a family member might qualify for the new waiver process.